1. 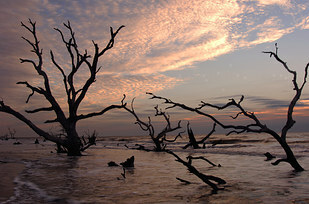 Unleash your inner surrealist on a Carolina beach. 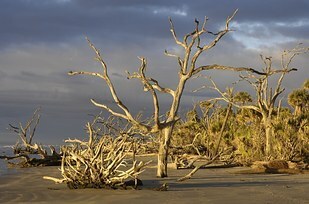 Boneyard Beach in Charleston, South Carolina, is not an actual boneyard but a curious beach where sun-bleached oak, cedar, and pine trees rise from the surf for one and a half miles. Though you need to take a boat to get to the island it’s on, exploring the beach, hiking, and wildlife-spotting are just a few of the things you can do here to embrace the strange side of nature. 2. 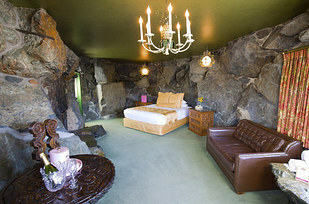 Awaken the starlet in you at an ultra-glamorous hotel. Hoping to stay in a hotel where every room looks like it’s been art-directed for a photo shoot? 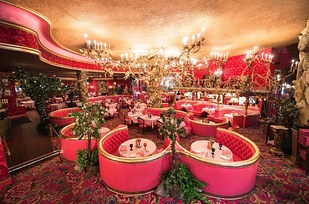 Look no further than the cinematically lush Madonna Inn, a landmark hotel on the Central Coast of California. With suite names like “Caveman,” “Rock Bottom,” and “Cloud Nine,” there’s more to this stunning spot than just an abundance of pink. 3. 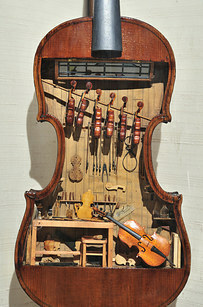 Find huge wonder in the smallest things at a museum of miniatures. What is this, a museum for ants?! 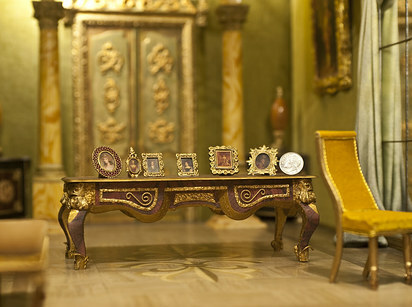 Nah, it’s a museum full of stunningly detailed miniature art! The Mini Time Machine Museum of Miniatures in Tucson, Arizona, has over 300 miniature houses and room boxes (including antique dollhouses dating back to 1742!) that’ll captivate anyone in your family. 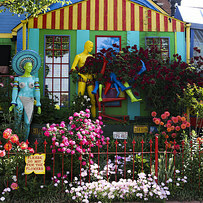 While the art itself may be teeny, there’s certainly plenty of it — the exhibit space itself is over 10,000 square feet! 4. 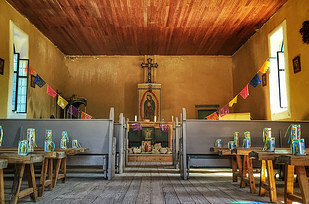 Explore a true Texas ghost town. 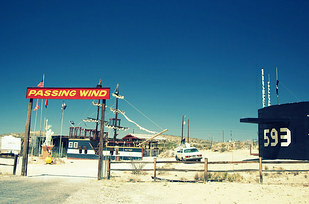 Terlingua is a tiny, ex-mining town in Texas but remains an awesome spot for travelers. Besides feeling like you’re on a movie set, there are small shops, food spots, and world-famous chili cook-offs held on the first Saturday of November. 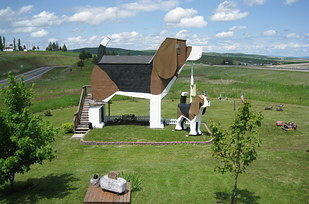 Whether you’re a major dog fan or just a lover of enormous houses shaped like dogs, the Dog Bark Park Inn in Cottonwood, Idaho, is an artist-owned bed-and-breakfast guaranteed to make you smile. 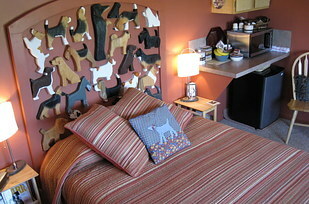 This dog-friendly inn is just like any other quaint B&B, but adorable dog décor and art make it especially memorable. 6. Grab some good eats at the most colorful diner in Baltimore. 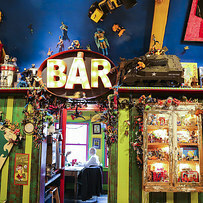 Baltimore is famously quirky, and no other eatery embodies this like its very own Papermoon Diner. Not only is the food delicious, the ambience is one big party of technicolor joy: vintage Pez dispensers, eclectic local art, and a welcoming vibe all make for one memorable meal experience. 7. 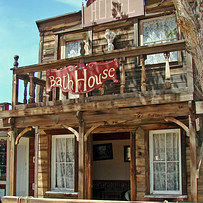 Have a legit Wild West moment in a town from another time. 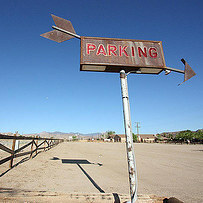 Pioneertown is its own tiny town in California, a secluded yet bustling little world that takes you back to the days of the Wild West — or at least perfectly captures the rugged and rowdy feel of the good ol’ days. Stop by the famous Pappy & Harriet’s for a down-home meal you won’t soon forget. 8. 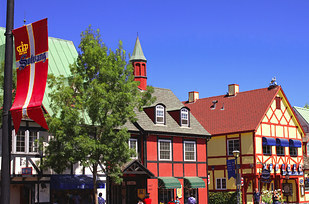 Experience a slice of authentic Danish culture right in California. 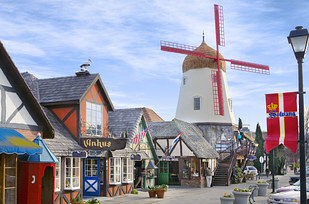 If you can’t get out to Copenhagen, this Dane-founded town of Solvang in Santa Barbara County of California is the next best thing. Come for the breathtaking architecture and stay for the culture; museums, antique shops, restaurants, and pubs offer a satisfying taste of the real Denmark. 9. 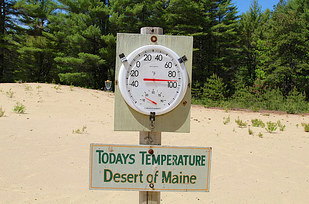 Step foot on a picturesque desert in…Maine? The more you know! There’s actually a desert in lobster country. 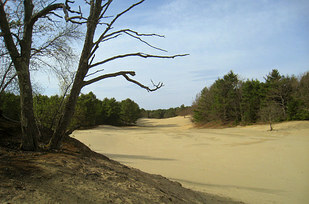 Desert of Maine is a natural (and Insta-worthy) curiosity that’s actually a 40-acre dune comprised of glacial silt, not sand! It’s a fantastic destination for hikers or traveling photographers looking for a backdrop one usually has to travel out west to find. 10. Do anything but rest at the wackiest rest stop there is. 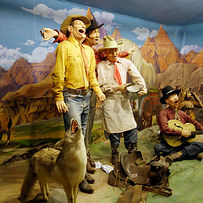 This is more than just a drug store; Wall Drug is an eccentric (and famously self-advertised) shop like no other. 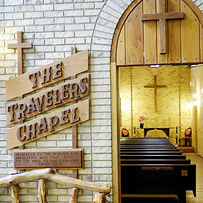 Located right by the Badlands of South Dakota, this place has giant animals, unique trinkets, 5-cent coffee, and just about anything else you could ever think to want from a rest stop. 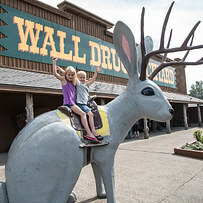 Don’t forget to check out the Wall Drug 80-foot dinosaur! Traveling is best done with an open mind. 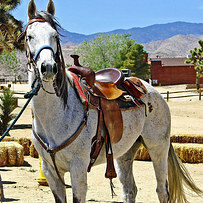 Let Travelocity guide you while you just soak up the ride!